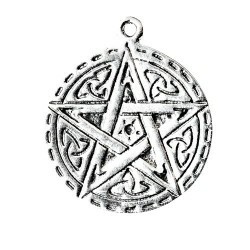 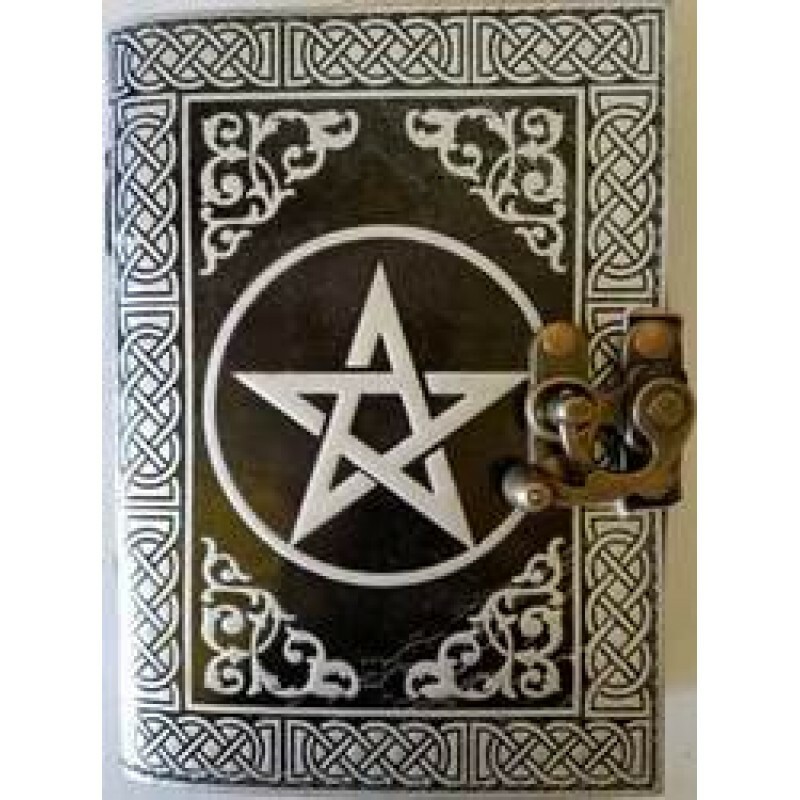 This leather blank book, has a black background, that compliments the intricate silver tooling and embossing, it's front covered is adorned with a centered Pentagram that has having designed tooling abound it's borders. 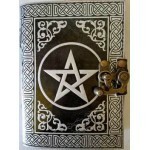 The back cover is fully embossed with a circular centered Celtic knot design, also with complimentary border designing.  It's spine edge has attractive leather cross stitching, secured by a metal brass colored latch. 5" x 7" - 240 pages - Unlined. 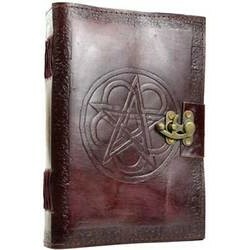 Pages of Handmade Linen Parchment Paper, (made from goat leather). 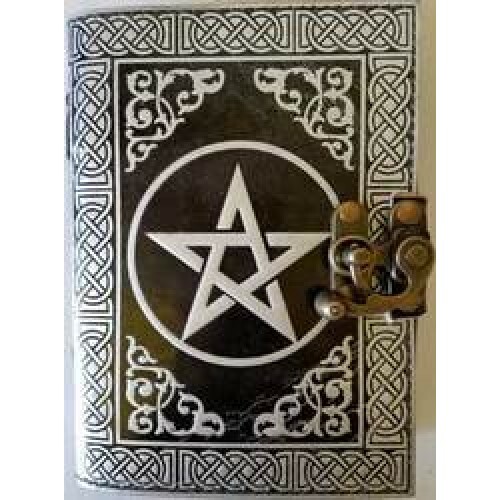 This leather blank book, has a black background, that compliments the intricate silver tooling and e..
Pentagram Leather Blank Book w/ latch 7" x 10"
Hand tooled blank leather journal with embossed, interwoven pentacle & flower. 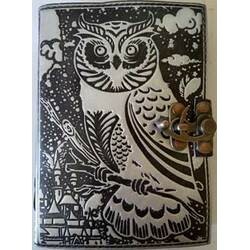 Border embossing may ..